NEW DELHI (AP) — For thousands of years, the people of North Sentinel Island have been isolated from the rest of the world. They use spears and bows and arrows to hunt the animals that roam the small, heavily forested island, and gather plants to eat and to fashion into homes. Their closest neighbors live more than 50 kilometers (30 miles) away. Deeply suspicious of outsiders, they attack anyone who comes through the surf and onto their beaches. Police say that is what happened last week when a young American, John Allen Chau, was killed by islanders after paying fishermen to take him to the island. “The Sentinelese want to be left alone,” said the anthropologist Anup Kapur. Scholars believe the Sentinelese migrated from Africa roughly 50,000 years ago, but most details of their lives remain completely unknown. “We do not even know how many of them are there,” said Anvita Abbi, who has spent decades studying the tribal languages of India’s Andaman and Nicobar islands. North Sentinel is an outpost of the island chain, which is far closer to Myanmar and Thailand than to mainland India. Estimates on the group’s size range from a few dozen to a few hundred. And, she said, that is how it should be. For generations, Indian officials have heavily restricted visits to North Sentinel, with contact limited to rare “gift-giving” encounters, with small teams of officials and scientists leaving coconuts and bananas for the islanders. Any contact with such isolated people can be dangerous, scholars say, with islanders having no resistance to diseases outsiders carry. Because of this, Abbi said scholars who visit isolated peoples are careful to limit their visits to a few hours a day and to stay away even if they have minor coughs or colds. Many of the island chain’s other tribes have been decimated over the past century, lost to disease, intermarriage and migration. Survival International, an organization that works for the rights of tribal people, said Chau may have been encouraged by recent changes to Indian rules about visiting isolated islands in the Andamans. While special permissions are still required, visits are now theoretically allowed in some parts of the Andamans where they used to be entirely forbidden. 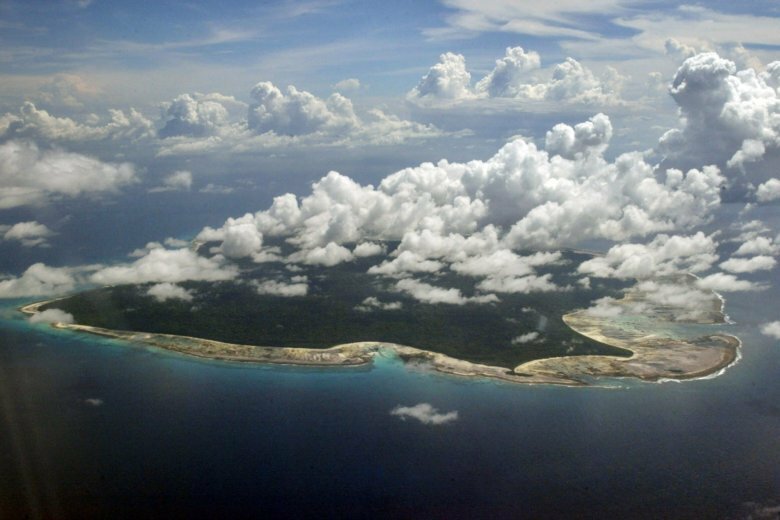 “The authorities lifted one of the restrictions that had been protecting the Sentinelese tribe’s island from foreign tourists, which sent exactly the wrong message, and may have contributed to this terrible event,” the group said in a statement.